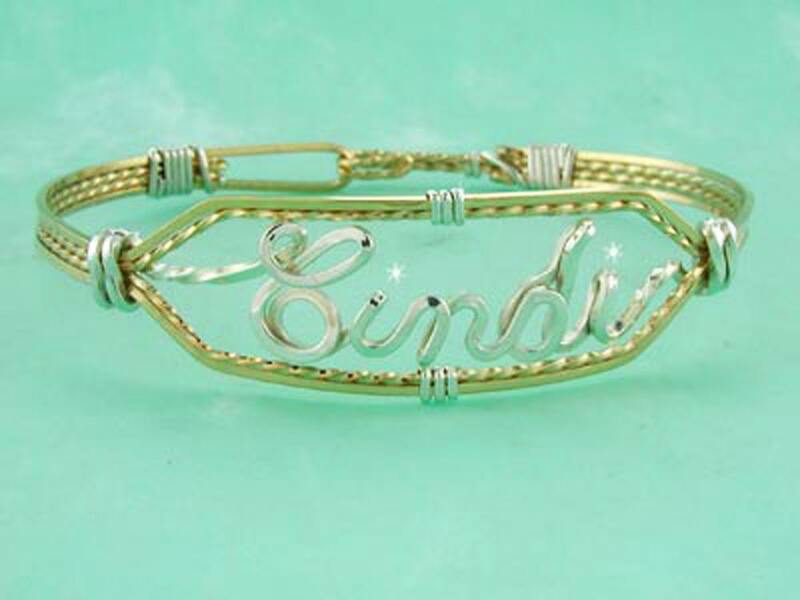 EACH BRACELET HANDMADE IN JUST YOUR SIZE AND PERSONALIZED WITH YOUR NAME! 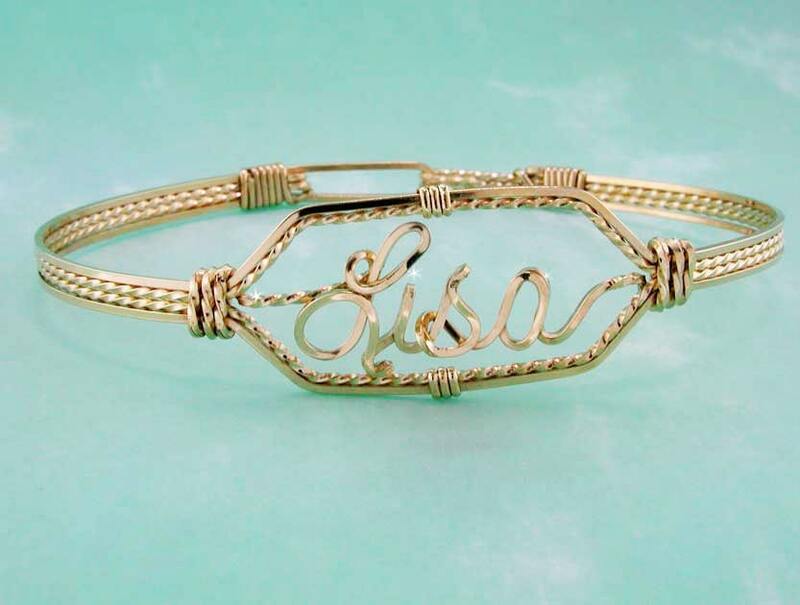 These unique bracelets are beautiful and the pictures truly do not do them justice. A nine letter name is the maximum number of letters I can insert. PLEASE INCLUDE THE SPELLING YOU WANT IN THE "NOTES TO SELLER" SECTION OF YOUR PURCHASE. 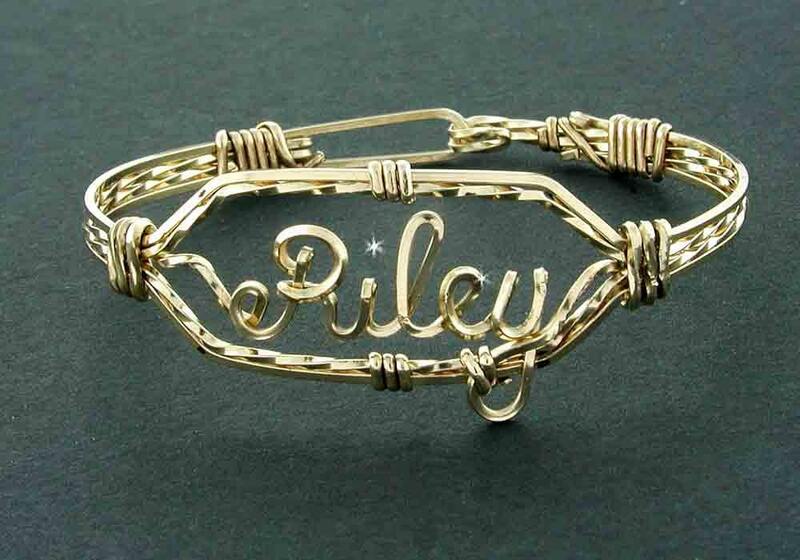 This listing is for your choice of a Sterling Silver, 12 Karat Gold Wire, Rose Gold or Combination of Gold & Silver Bracelet. 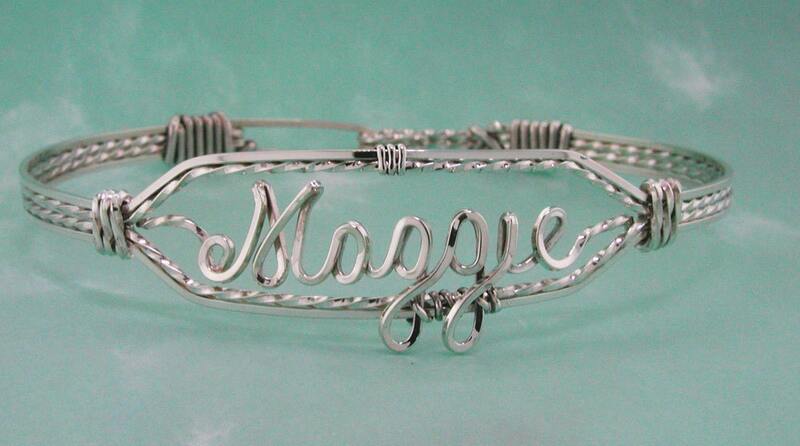 All name bracelets can be designed in Solid Sterling Silver, Gold or a Combination of the two materials. ANY NAME you need. Like all of my bracelets, the clasp is on the inside so there is nothing to snag or catch on your clothing. 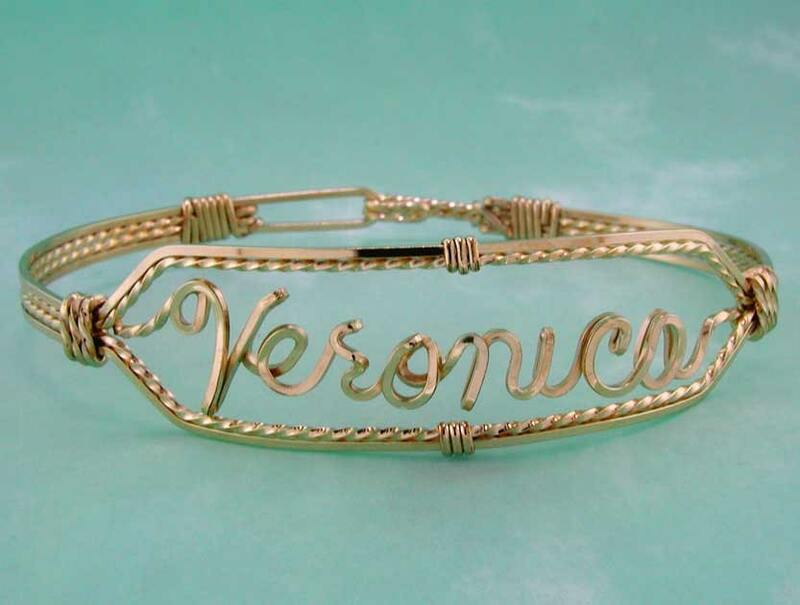 This wire bracelet is called the "Regular Name Bracelet". The weight of wire that I use is an .032 wire. Very durable for everyday wear. Makes an adorable baby bracelet too! For Christening, Baby shower, First Birthday, MOTHER'S DAY, Valentine's Day, Anniversary, and of course Christmas, or any time! Capital letters are approximately 1/2 to 5/8 inch and the small letters are 3/8 inch. Size varies with the length of name.